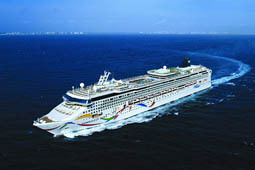 Best Prices on Norwegian Cruise Line Itineraries | Book a Norwegian Cruise With No Booking Fee! Norwegian Cruise Line is a vacation favorite for families everywhere, loved for its highly rated entertainment and delicious dining. 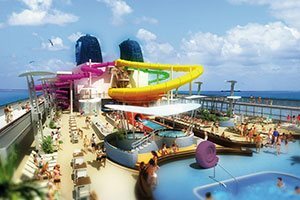 Norwegian cruise ships in the Breakaway class also feature incredible multi-story waterslides: Check out the one-of-a-kind Free Fall slide for thrill-seekers! When it's time to relax, hit the spa, where you'll find hot tubs and a thermal suite. 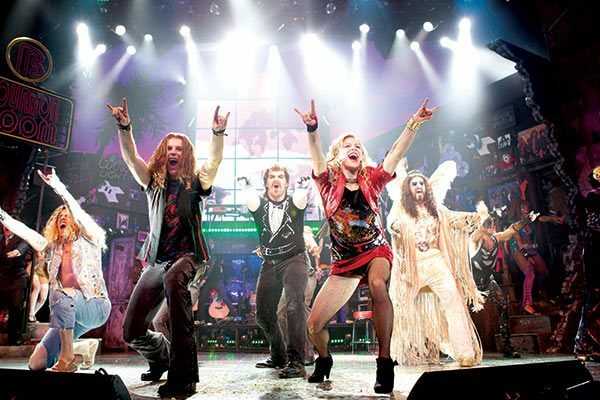 At night, you can enjoy one of the shows that Norwegian Cruise Line is famous for, like Burn the Floor or the Tony-award-winning hair metal show Rock of Ages. 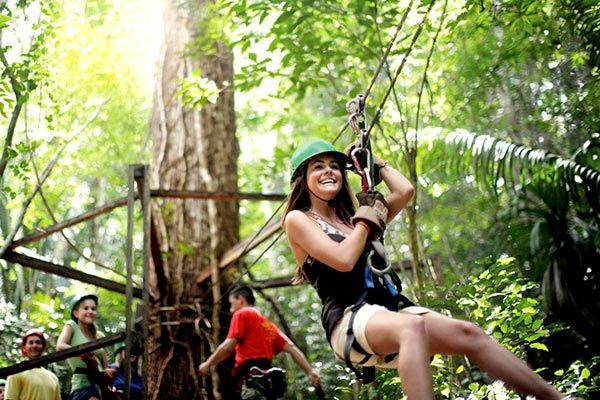 While there are many activities for families to enjoy, when you book a Norwegian cruise, you'll also find opportunities for parents to get some alone time. Try the Spice H20 top-deck getaway for adults only. You'll also find dinner theater like the acrobatics of Cirque Dreams or the Illusionarium magic show. Dining on Norwegian cruise ships is comfortable and casual, with no strict dining times and an informal dress code. 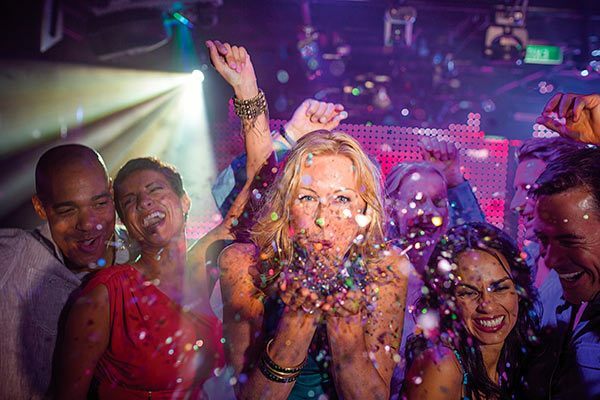 On a Norwegian cruise, you can be yourself while enjoying endless opportunities for entertainment, lots of thrills, and a huge selection of dining options. To experience it all for less, book our Norwegian cruise deals today! 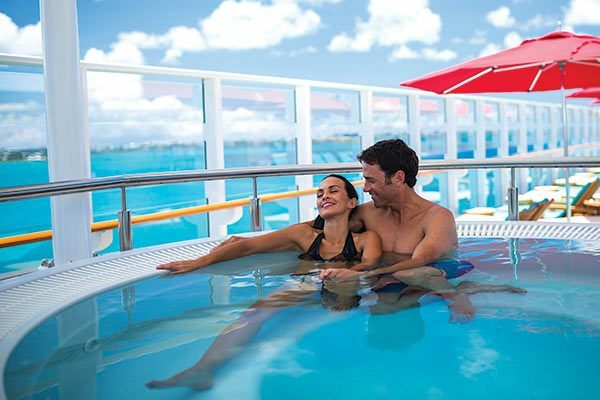 Recommended For Cruise Line HighlightsGratuitiesDress First-time cruisers, active travelers of all ages who want an all-around fun vacation. Joiners. Repeaters and middle-income travelers who like entertainment and recreational variety of a large ship - but not as large as a megaliner. Those whose special interest relate to sports and music, particularly jazz and country. Those who vacation with their children. 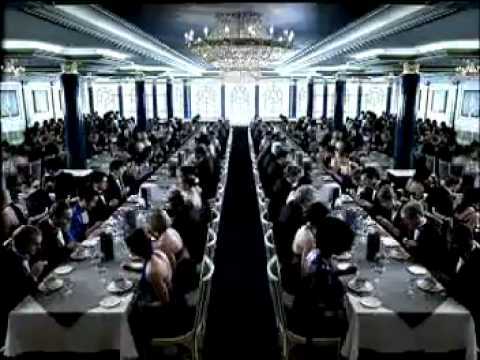 Norwegian fleet of ships offers the best live entertainment every day and every night. Whether you are looking for something intimate like the singers in the lounges or you want to laugh till you drop with The Second City® comedy troupe, you'll find something perfect for you. Then, there's the award-winning and inventive Blue Man Group, who you can only see aboard Norwegian Epic. And, with special events like the White Hot Party and amazing production shows, you'll be laughing, singing and dancing throughout your cruise. No one needs this many choices to grab a cocktail but Norwegian Cruise Line betting you won't complain. Norwegian Cruise Line has done more than offer the first ice bar at sea on Norwegian Epic by giving you plenty of options to relax in a variety of bars and lounges. Piano bars, sports pubs, small intimate lounges and large discos with pumping music. They pretty much guarantee you'll never go thirsty on a Norwegian vacation. There's no better way to learn about beer and wine then with some onboard tasting classes. Sample a variety of flavors while experts explain the ins and outs of these amazing beverages. Or join one of the Pub Crawls and try out some of the bars and lounges. It's a great way to meet and mingle with your fellow passengers and play some drinking games. Must be 21+ to sign up. Award-winning and always exciting, casinos offer the only certified slots at sea and all your favorite table games. No wonder they been rated the "Best Cruise Line Casino" for seven years running by the readers of Casino Player magazine. And don't forget to join the Players Club to earn great rewards for everything from luxurious spa treatments to complimentary cruises. 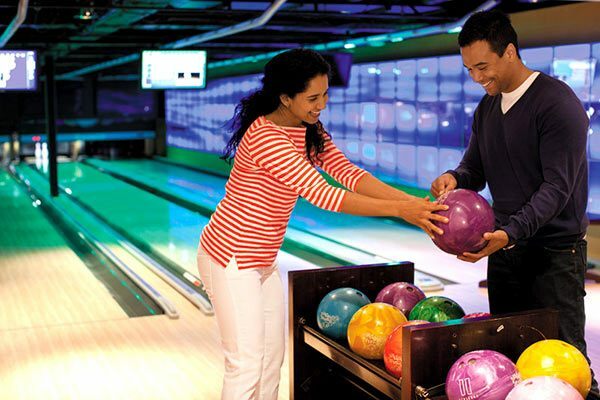 When you are looking for something fun and different on board, get rack 'em up and you knock 'em down in the coolest bowling alleys you've ever seen. During the day, all ages are welcome to play. At night the game is for adults only as the lanes take on a whole new look, with special effects and lighting and illuminated neon-colored balls. When you cruise with Norwegian Cruise Line you'll have plenty of great places to shop. Whether you are looking to splurge on yourself at one of the onboard boutiques or you want to shop for gifts for your friends and family on shore, a friendly staff will help you find exactly what you are looking for. Check your Freestyle Daily for shopping seminars, special sales and more on shopping while you cruise with Norwegian. 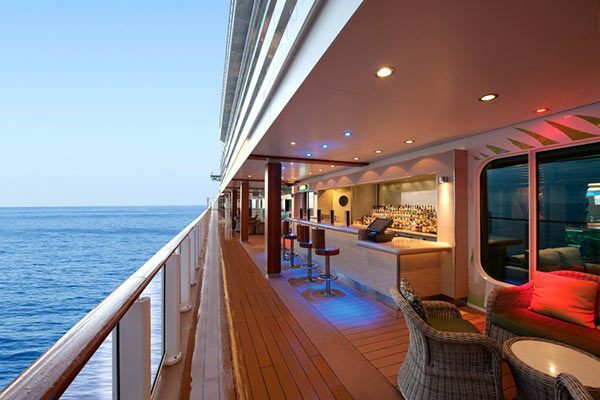 All Norwegian ships offer Complimentary Dining as well as Specialty Dining options. Freestyle Dining is where Freestyle Cruising® begins. Sit down to a four-course meal and a fine wine. Or grab a burger hot off the grill. Dress up. Dress down. Sit with your friends or make new ones. You'll find more dining options than days of your cruise, and you're free to enjoy them all on your own schedule. Every cruise fare includes beautifully crafted menus in two main dining rooms, a help-yourself buffet and a variety of casual cafés, grills and on-the-go choices. From fresh-baked breads, desserts and pastries to the chefs' original dishes made with the freshest ingredients, your dining can be as fine or fun as you want. Room service is available for an additional charge (charge does not apply to The Haven and Norwegian Suites). Note: Charge amount is subject to change without notice. 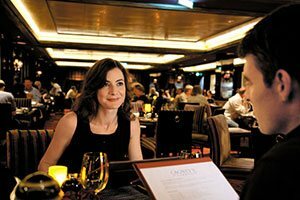 When you want an even more memorable experience, Norwegian ships' specialty restaurants provide refined choices for a cover charge ($15 to $75 per person). Experience a Brazilian Churrascaria, dine on expertly prepared sushi, or savor traditional French bistro, Italian trattoria or Chicago steakhouse fare — it's all on board. And it's all delicious. Introducing Norwegian’s brand new youth program - the ultimate family vacation just got better! Do the things you want, when you want. 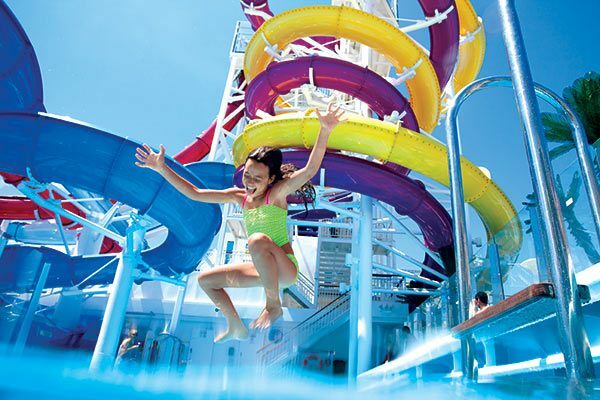 That’s the freedom and flexibility you have with Freestyle Cruising on Norwegian Cruise Line. Unpack once and visit multiple, exotic destinations with ease. And with your accommodations, dining options, family activities and exclusive entertainment with Nickelodeon all in one place, there’s something for everyone. So much to see. See much to do. So little to worry about. Freestyle Cruising means everyone gets to do exactly what they want to do, including the kids. They will enjoy plunging waterslides, a two-story Wii™ Wall and special recreational programs that include supervision. 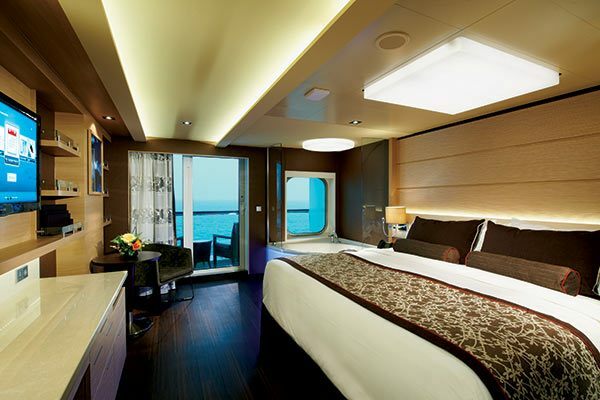 So, you can enjoy time at the spa, a tour on shore, gaming in the casino or even a romantic dinner for two. And family-friendly accommodations will keep the whole family comfortable. 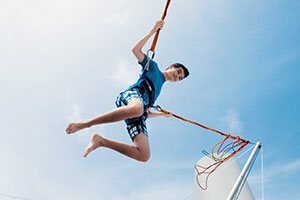 Norwegian Cruise Line has been innovating cruising for over 40 years and Nickelodeon, now in its 30th year, is the number-one entertainment brand for kids. These two innovative companies have teamed up to create one-of-a-kind family cruise vacations... introducing Nickelodeon, exclusively on Norwegian Cruise Line. Norwegian's newly redesigned, complimentary kids and teens programs. Here, with their well-trained staff your kids will explore and experience engaging activities with kids their own age. Maybe even make a new friend or two. So enjoy a bite to eat, a relaxing massage or get a little shopping done. You can be certain your kids are having fun in a safe and supervised area. Splash Academy - is here and making a big, well, splash. The new program is specifically designed to engage active and creative kids ages 6 months – 12 years old. Whether it’s learning to juggle at circus school with Cirque du Jour presented by Hilario Productions, working on arts & crafts projects or getting the high score on Wii™, there’s plenty of fun for everyone throughout the ship. Note: At least one parent must attend with the child of age 6 mo - 2 years old. Entourage - is the latest and greatest program for teens ages 13-17. Play a pickup game of soccer. Take part in a theater or fashion workshop. Dive into an interactive pool party. 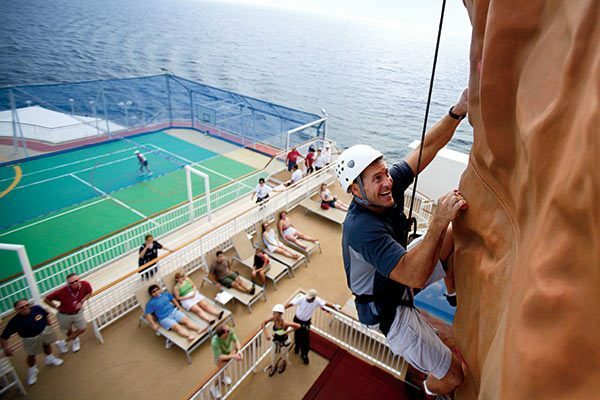 With so much to do around the ship, your teens can choose the activities they want to do. Now let’s have some fun! Sitting Services - Sometimes you just want some adult or grown-up time together. For kids 3–12, Port Play (when ship is in port) and Late Night Fun Zone (nightly) are located at the Kids Center, supervised by the youth staff and designed so that you can have some fun. And your kids, too. Mandara Spa. 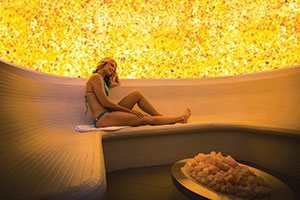 Get a couples hot stone massage, a BOTOX® treatment or just relax in a hydrotherapy tub. From acupuncture to a mani/pedi, the award-winning spas will make you forget all about traffic, emails, texts, voicemails and everything else back on land. All services can be reserved when you board the ship. Read your Freestyle Daily to find exclusive treatments and special offers. Some of these treatments may not be available on every ship. Men's Grooming services are also available. How about a mid-morning run 10 stories above the ocean? 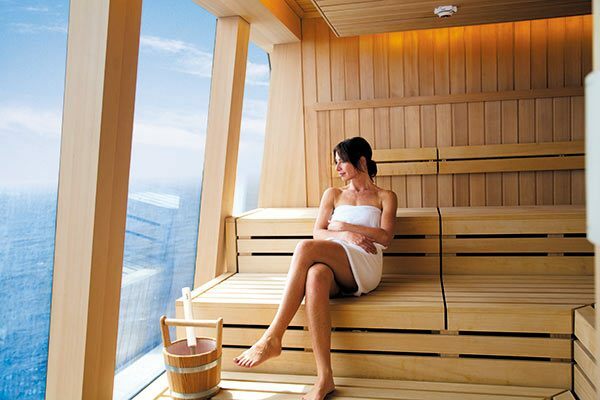 These cruise ships were built with jogging and walking tracks, great spas for the perfect massage, basketball courts and fitness centers open 24 hours with televisions, treadmills, and ellipticals, free weights, special classes, and more. So come on. Staying in shape both mentally and physically has never been more delightful. Offer Terms: Offer is for new bookings only, booked and deposited by April 30, 2019. Offer is for mini-suite categories and below. Rates are in USD. Qualifying new individual reservations can be moved into existing group and count towards tour conductor credits. Promotion cannot be held as group block. Guests who cancel and rebook must accept this promotion's terms and conditions. For reduced deposit reservations cancelled during deposit fee period, fee amount will be assessed in line with terms of booked promotion. Singles paying 200% qualify. 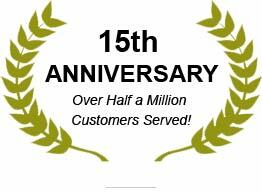 Government taxes, port expenses, fees and discretionary on board service charges and/or gratuities are additional. Not applicable to chartered dates and group types: CMI OP EVENT, CMI OP LG EVENT, INCREG & INCLARGE. 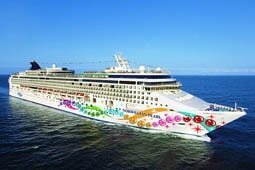 Offer and combinability with other promotional offers is subject to change at any time per Norwegian Cruise Line's discretion. Other restrictions may apply. Not combinable with all fares. Does a Norwegian Cruise Offer a Military Discount? 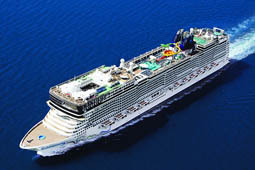 Norwegian Cruise Line offers members of the military and their families up to 10% off discounts on select cruises. 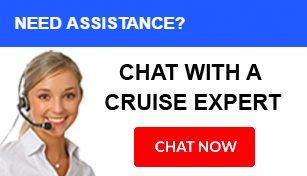 A CruiseDirect representative can help you find applicable sailings. Where Does the Norwegian Cruise Line Go? 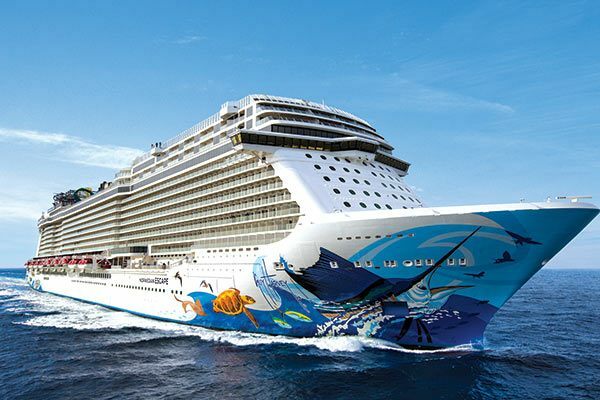 What Is the Biggest Norwegian Cruise Line Ship? The Norwegian Bliss is currently the largest ship in the fleet, weighing in at a gross tonnage of 168,028. 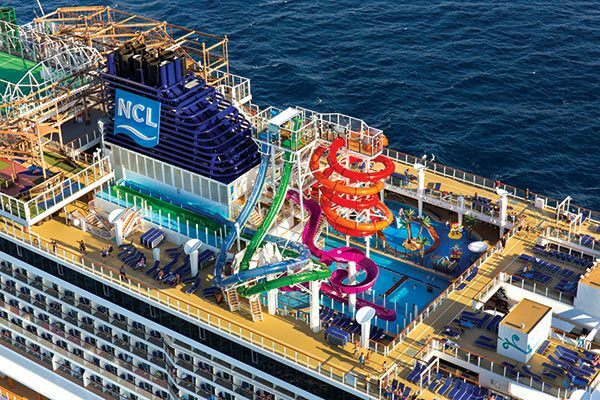 How Much Is the Dining Package on NCL? The cost of an NCL dining package ranges from a three-meal plan for $89 to a 14-meal plan for $219 per person. These packages allow you to sample the specialty restaurants on board for less than you'd pay otherwise. What Is Included in the NCL Ultimate Beverage Package? 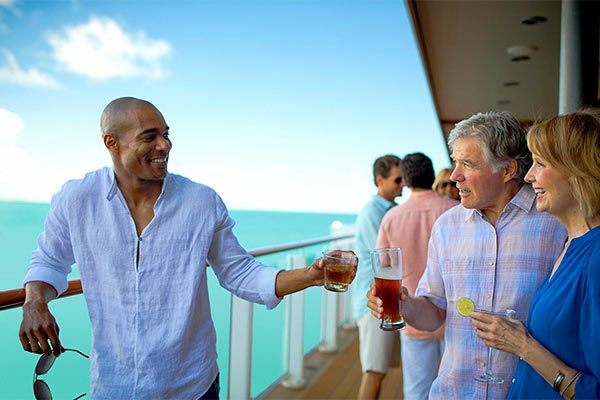 The Ultimate Beverage Package from NCL includes unlimited soda as well as alcoholic beverages (one alcoholic beverage valued up to $15 per transaction). Where Is Norwegian Cruise Line Based? 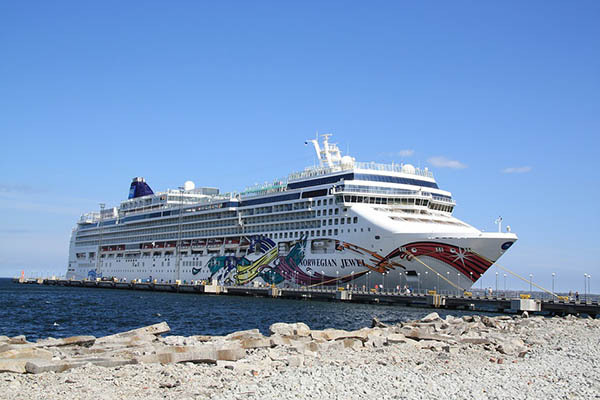 Norwegian Cruise Line is based in Miami, Florida, though its ships sail from ports all over North America and Europe. 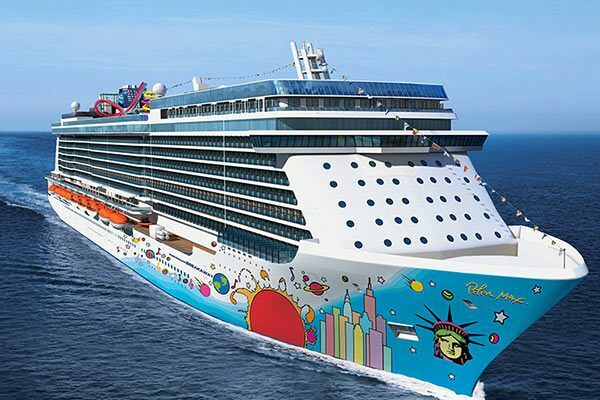 Where Does Norwegian Cruise Line Leave From in New York? NCL cruises leave from the Manhattan Cruise Terminal on 12th Avenue.